SA: Who We Are from Salisbury Academy on Vimeo. Salisbury Academy is an independent, co-educational school serving students in junior kindergarten through eighth grade in Salisbury, NC. Our experiential learning environment attracts students from diverse backgrounds and nurtures curiosity, community, and character while teaching children to love the learning process. As an independent school, we have the freedom to promote creative thinking in hands-on ways that introduce students to exciting and challenging subjects including art, music, foreign languages, global and environmental education, and technology. Our students are immersed in experience and participate in over 100 field trips over the course of the school year. 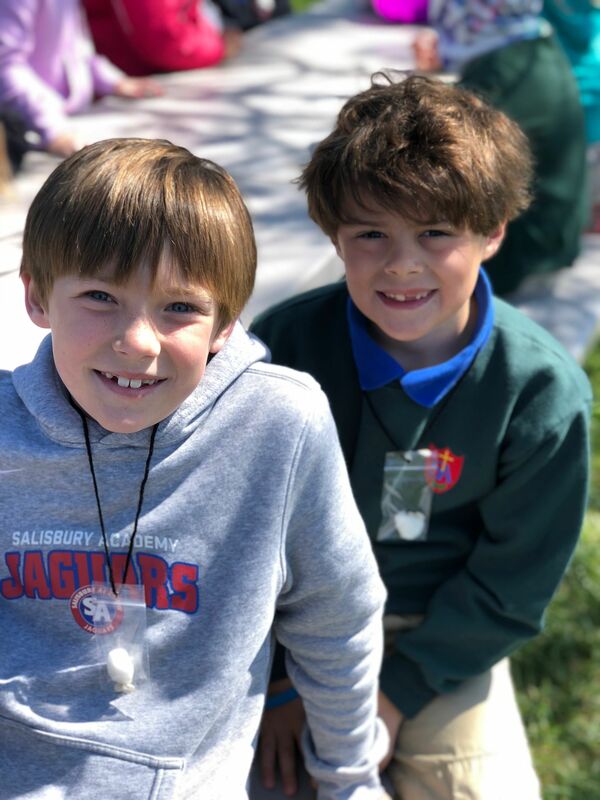 Salisbury Academy students are developed as whole beings – intellectually, physically, and spiritually – and enjoy a supportive Christian-based faith community. In addition to an enriching core curriculum in areas such as math, science, history, and English, Salisbury Academy students are provided the tools to make a positive impact on the world around them as stewards of the community and of the environment. Our school’s commitment to the earth is demonstrated daily through the Salisbury Academy movement Project Green Space, which aims to enhance the school’s outdoor learning environment while developing conservation-minded students and an energy-efficient and low-waste school facility. Teachers at Salisbury Academy are afforded the opportunity to form close relationships with each and every student and their parents, thanks to our community environment and student-centered learning. Salisbury Academy offers classes in foreign language and is home to the Salisbury Academy Music Conservatory where students may take private lessons in voice, piano, and saxophone. Between the eighteen sports offered and the ever-changing, dynamic selection of electives, every student enjoys opportunities to develop their unique gifts and interests.